Check out select new Marmot gear for Fall/Winter 2012. Pro mountain guide Brenton Reagan with Exum Mountain Guides will show off some exciting gear for the upcoming season in a live, interactive webcast. Ask questions online, and Brenton will do his best to answer them live. This is your chance to pick the brain of a pro mountain guide. While you're online, enter to win one of two $500 Marmot shopping sprees. 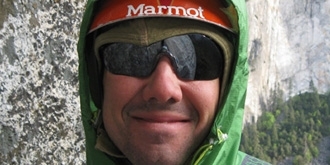 Brenton Reagan is an experienced mountain guide with Exum Mountain Guides and former member of the U.S. Marine Corps Infantry and Security Forces. Brenton has spent time mountaineering throughout the U.S. and the Canadian Rockies, including ascents and ski descents in the Tetons and Wind Rivers, including a 12 hour car to car ascent of the North Face of the Grand Teton and an expedition to Mt. McKinley. Other ascents and expeditions include the West Ridge of Khan Tengri, Tien-Shan in Kazakhstan and first ascent "El Pilar" and "Cerro Liso," Mexico, the 2003 Khumbu Exploratory Expedition and First Ascent Peak 5,880, Khumbu, Nepal. Brenton has been a guide in Nepal and served on the Board of Directors Tutuaca Mountain Center, Mexico. He is a recipient of the Anatoli Boukreev Memorial Fund Grant and accompanied expeditions to Rio Murta Group, Northern Chilean Patagonia, 2006, Fitz Roy Patagonia, Guillamet. 2008 and an expedition to the Ruth Gorge, AK.